Alisson, 25 Nov 2010Someone know if I can use regular 3.5mm headsets to listen radio on this phone?Yes you can. Shahid Chaudhry, 26 Nov 2010Hi, I have this phone from last 2 months, battery life is great features good but the phone ge... moreHi Shahid! Even I have the same problem which you are facing.. I just want a good but under about $35. Do should I get this? If not, do you have any other suggestions? Hi, I have this phone from last 2 months, battery life is great features good but the phone gets restarted every now and then at least twice a week for no reason. Some times during a call or answering a call or read sms message. Any similar experience or remedy…? pravz, 25 Nov 2010Hello, This is one of the worst phone Nokia has ever made. This phone has a problem with voi... moreYeah you're right. I've already sold my n1616 now I'm using my old SE W200. N1616 is the worst phone I've ever had. Someone know if I can use regular 3.5mm headsets to listen radio on this phone? This is one of the worst phone Nokia has ever made. This phone has a problem with voice clarity. Its a pain to make calls from a too receive them. Its and advice go for something else. Shahnawaj, 24 Nov 2010Is it have radiois it have radio? or does it have radio? Yes it has! Moieen, 20 Nov 2010Hi Guys! How to figure out the no.of text messages in the inbox?? There are no numbers disp... moreThere's nothing you can do about it. That what it is. How you can use a Camera and wifi in Nokia 1616 ? How to figure out the no.of text messages in the inbox?? There are no numbers displaying the text messages we have when we open the inbox. PLEASE HELP!! 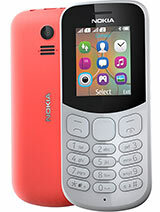 Total of 783 user reviews and opinions for Nokia 1616.